Walter LeRoy Frey of Moscow died Tuesday, September 4, 2018 at Aspen Park Healthcare in Moscow. He was 90. Walt was born July 6, 1928 at home near Burke, South Dakota to Louie and Ethel Carter Frey. He grew up on the family farm and continued working after his education. He and Luella Johnson were married in Lucas, South Dakota on June 9, 1948. In 1956 the family, now with four children, moved to California when Walt went to work for Douglas Aircraft and later for Temcor in steel fabrication. In 1973, they came to Moscow where Walt owned and operated Walt’s Appliance Service for 25 years, and later worked part-time for Howard Hughes Appliance, fully retiring at age 84. 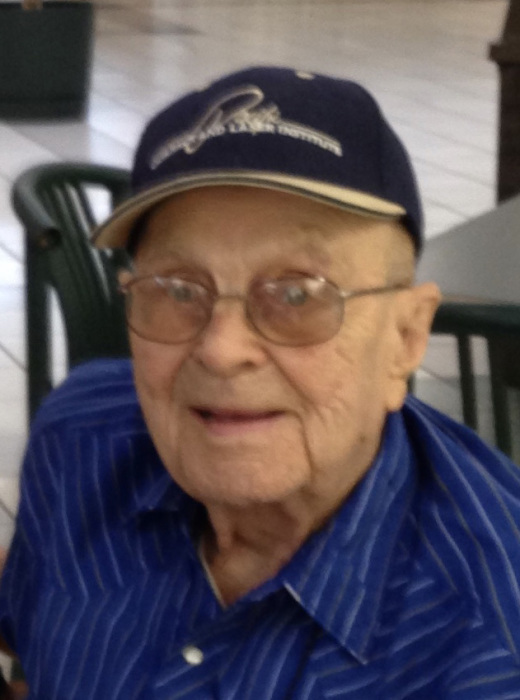 He enjoyed archery and bow hunting and was an active member of the Ee-Da-How Archery Club. Walt enjoyed fishing and hunting and was an involved with the Blind and Diabetes Association that meets on Wednesdays at the 1912 Center. He was a former member of the Moscow Moose Lodge and coached Little League Baseball during their time in California. Surviving are his wife of 70 years, Luella, at their Moscow home, a son, Rollie (Ann) Frey of Moscow and daughters, Kathy (Graham) Church in Australia and Carolyn Anderson of Moscow. Walt also leaves 9 grandchildren, 11 great grandchildren and 1 great great grandson and a sister, Lavina Matucka of Burke, SD. Walt was preceded in death by a son, Danny R. Frey in 2006, 5 brothers, a sister, and a son-in-law, Bob Anderson. A private burial will be at the Moscow Cemetery. A Celebration of Life and luncheon will be at the Moscow Eagles Lodge on Main Street on Monday, September 10th beginning at 11:30 AM. Arrangements were entrusted to Short’s Funeral Chapel, Moscow, and online condolences may be sent to www.shortsfuneralchapel.net.